Top 5 breakfast condiments. Ready, go. I am a hot sauce addict. ADDICT. I put it on everything. 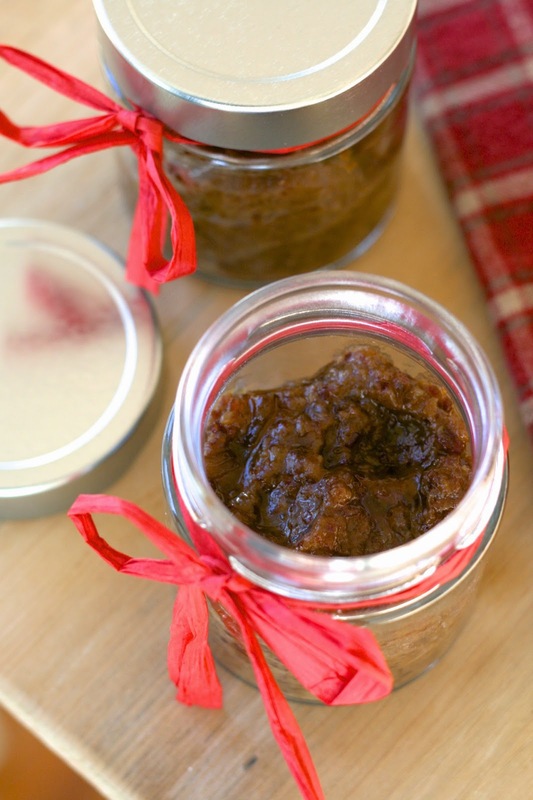 And yet... bacon jam has shot to the top of my breakfast condiments list. Why? Because it is the perfect addition to pretty much any breakfast item. Sweet, savory... it doesn't matter. This delectable jam harmoniously encompasses both at the same time. Slather it on a breakfast sandwich with eggs and cheese (a French Toast BLT perhaps?) or smear it on a (bacon) waffle and top with maple syrup. It. Doesn't. Matter. Not to mention the fact that its usefulness goes far beyond breakfast. Warm bread, pork, burgers, grilled cheese sandwiches, ice cream even??... the possibilities are endless. AND DID I MENTION IT'S MADE OUT OF BACON. OK enough talk... let me tell you how to make this stuff. First... you'll need some bacon. (duh). About a pound will do. (Unless you want to double the recipe. That would be a smart move). 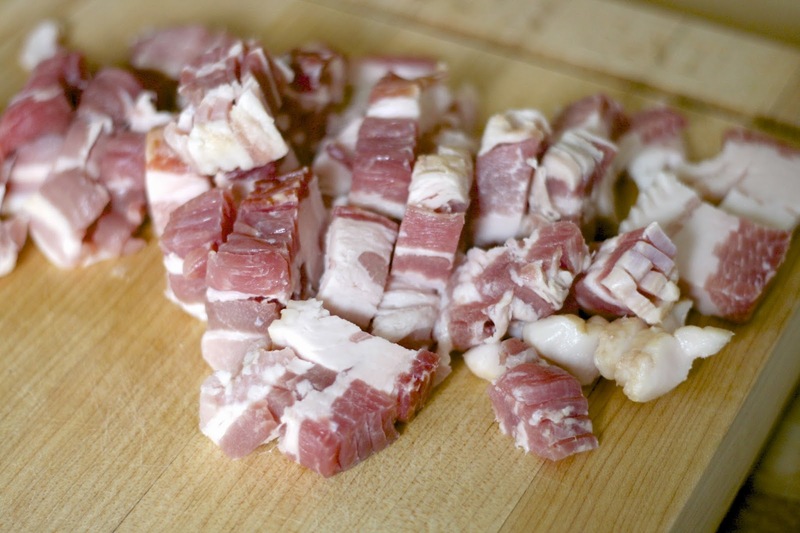 In a dutch oven, cook bacon over medium-high, stirring occasionally, until fat is rendered and bacon is lightly browned, about 20 minutes. 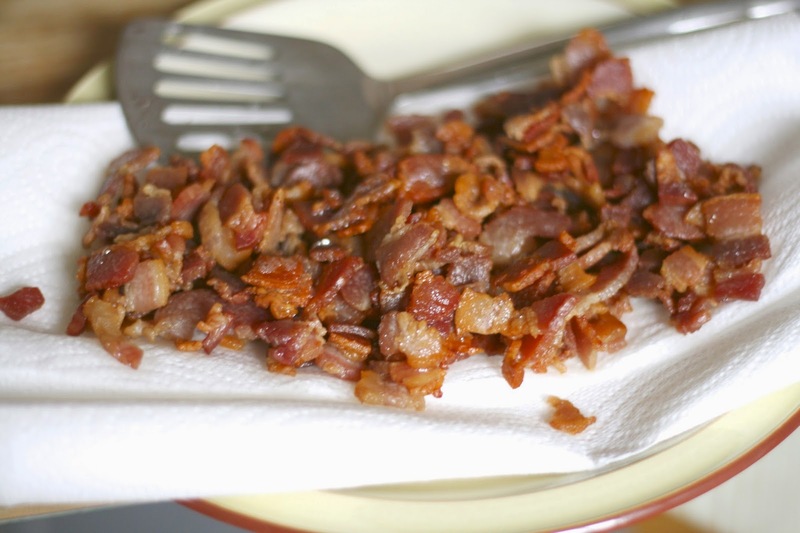 With a slotted spoon, transfer bacon to paper towels to drain. 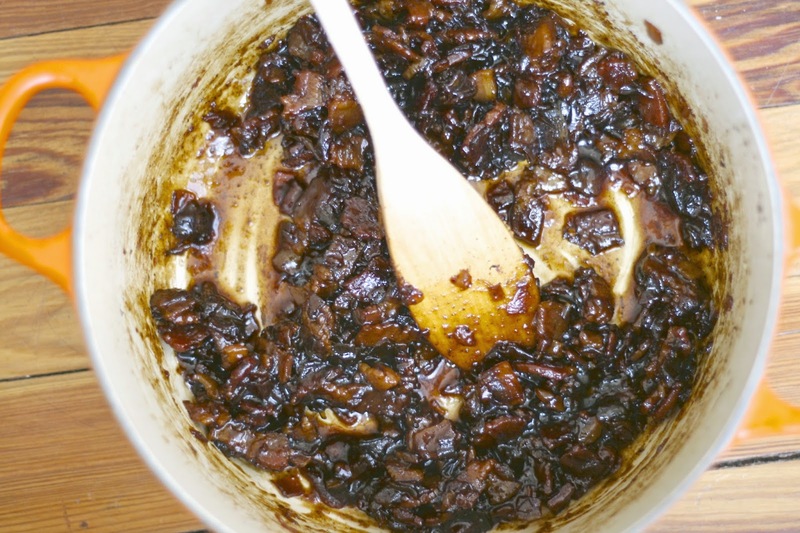 Don't you dare discard that lovely bacon fat. Pour off all but 1 tablespoon fat from skillet. 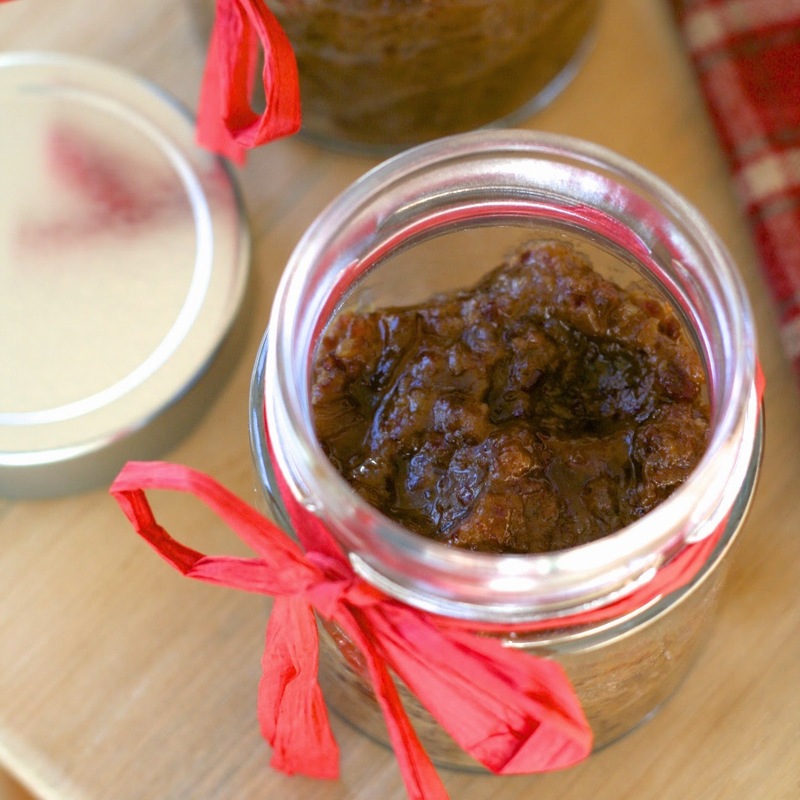 (You can reserve the rest in a jar in the refrigerator for another use). Add onions and garlic, and cook until onions are translucent, about 6 minutes. Add a pinch of red pepper flakes and some ancho chile powder and cook another minute. Now, I mostly followed a recipe I found on Martha Stewart, making my own tweaks and additions along the way. One of those adds: booze. 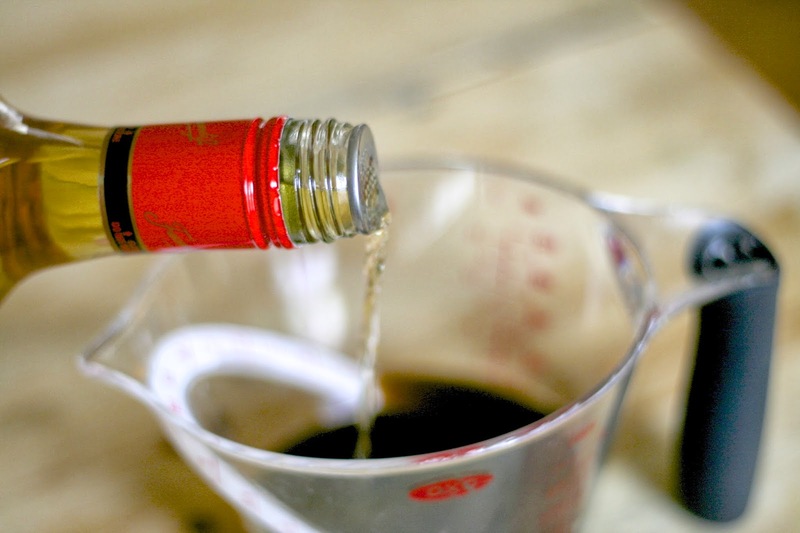 Don't worry, the alcohol will cook off and it will help intensify some of the smoky flavors. Bourbon would be ideal, but all I had was dark rum, so I used that. Either one will work. (Or feel free to omit if you don't want to go that route). As for the rest of the flavors: coffee, apple cider vinegar, maple syrup, and brown sugar. Pour it all in and bring to a boil, stirring and scraping up browned bits from skillet with a wooden spoon, about 2 minutes. Add bacon and stir to combine. Bring to a boil, and cook for about 2-3 minutes. 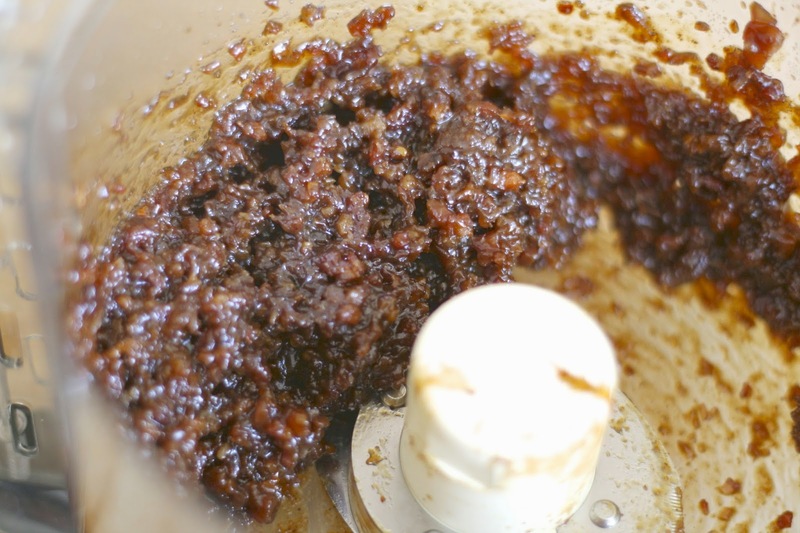 Reduce heat to low until mixture is just barely simmering, and cook uncovered for 60-90 minutes, or until liquid has reduced and has a syrupy consistency. Like this. (*Note: you can also do this in a slow cooker on high, uncovered for 3.5-4 hours. I didn't want to wait that long the first time I made this. However, the second time I needed to run errands so it was more convenient to use the slow cooker). Transfer to a food processor and pulse until coarsely chopped. Let cool, then refrigerate in airtight containers, up to 4 weeks. (But trust me, it probably won't last 4 hours). Pour off all but 1 tablespoon fat from skillet (reserve for another use). Add onions and garlic, and cook until onions are translucent, about 6 minutes. Add spices and cook another minute. 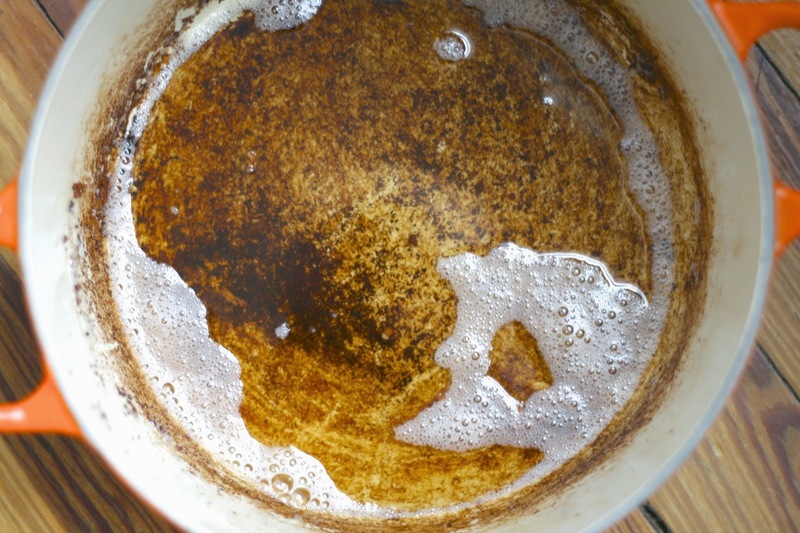 Add coffee, vinegar, maple syrup, brown sugar and alcohol and bring to a boil, stirring and scraping up browned bits from skillet with a wooden spoon, about 2 minutes. Add bacon and stir to combine. Bring to a simmering boil, and cook for about 3 minutes. Reduce heat until mixture is just simmering, and cook uncovered for 60-90 minutes,* or until liquid has reduced and has a syrupy consistency. (*Alternately, you can cook in a slow cooker with lid off on high for 4 hours). Transfer to a food processor and pulse until coarsely chopped. Let cool, then refrigerate in airtight containers, up to 4 weeks. I've been reading your posts for almost a year now and enjoy them immensely. The brussel sprout chips and lettuce tacos were big hits (I've had to buy sprouts 5 lbs at a time when my grandson and granddaughter and their friends come over for dinner--they love them, especially when I add some crushed red chili flakes before I cook them). I'm not sure how much feedback you get for each post but I hope they keep coming. The recipes are fun and enjoy your your writing style. Thank you so much! That recipe is one of my faves! I made this one... I made a couple of adjustments based on what I happened to have on hand (agave nectar for maple syrup, and a bit of white sugar and I increased the percentage of rum), but it is insanely delicious. Doubled the recipe. First tried it on a hamburger... duplicates the sweetness of ketchup, but is chock full of bacon. Will probably have on toast next.